Taipei, Aug. 17 (CNA) The Ministry of Foreign Affairs (MOFA) has made it clear to Japan that Taiwan holds sovereignty over the Diaoyutai Islands, Deputy Foreign Minister Tung Kuoyu said Friday, amid efforts by Japan to reinforce its claim to the island chain in the resource-rich East China Sea. "Taiwan holds undisputed sovereignty over the Diaoyutais," said Tung, after attending a briefing held to help foreign ambassadors understand more about two recently signed cross-Taiwan Strait agreements. Besides Taiwan, Japan and China claim the Diaoyutais, which lie about 100 nautical miles northeast of Taiwan. On Thursday, Tung met with Sumio Tarui, Japan's top representative to Taiwan, to discuss a series of diplomatic rows triggered by sovereignty disputes over the uninhabited islands. "We have expressed very clearly (at the meeting) that Taiwan has sovereignty over the Diaoyutais," he said. Describing the tone of the meeting as "sincere," Tung said both Taiwan and Japan have agreed that it is important to reduce regional tensions at this time. "We hope to create a win-win situation based on that consensus," Tung told the media. He said Tarui holds "a positive view" of the East China Sea Peace Initiative that was proposed by President Ma Ying-jeou in early August. In his proposal, Ma called all claimants to shelve their differences and jointly explore resources in the region. Asked by a reporter when Taiwan and Japan will resume long-stalled talks on fishing rights in overlapping territories, Tung said there is no timetable. In the most recent controversy, activists from Hong Kong landed on the Diaoyutais on Wednesday, carrying the national flags of both Taiwan and China. They were arrested by Japanese authorities for alleged illegal entry. 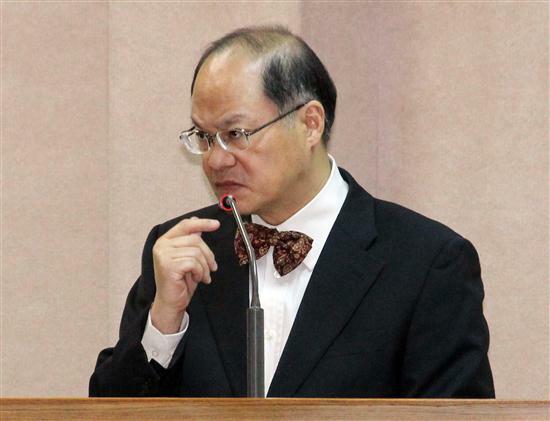 Tung, however, reiterated that Taiwan will not collaborate with China on the Tiaoyutai sovereignty issue.